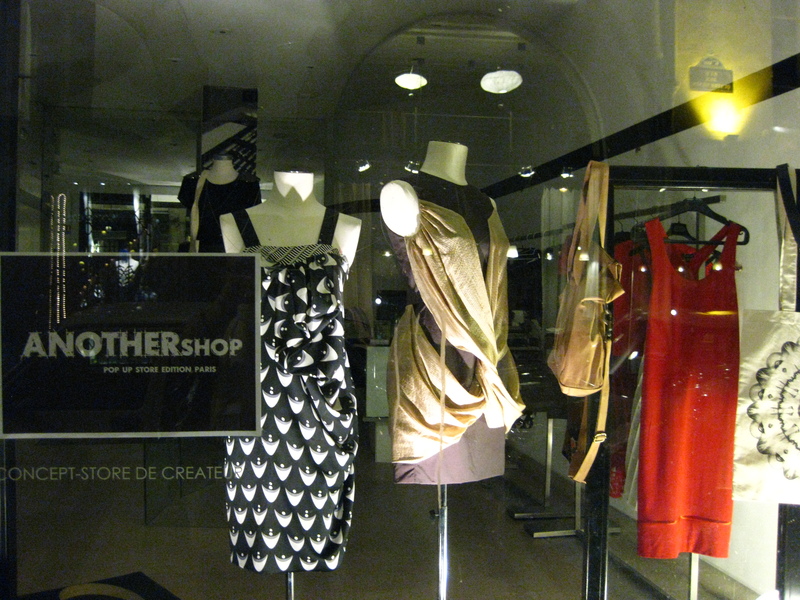 The art of the drape at TG931, a Thai concept store in Paris. It’s been less than 48 hours since I arrived in Paris, and needless to say, I’ve been experiencing a bit of jet lag. I woke up at 4:30 a.m., and was relieved to discover my husband was having the same problem. We decided to forgo the tossing and turning and instead head out together for a brisk morning walk. The end goal? Land at a boulangerie that would serve us freshly baked croissants and espresso at this unreasonable hour. We wandered around the area near our apartment, the chic Marais neighborhood in the 3rd arrondissement (city district), with little luck in the way of finding breakfast. Most of the streets were still. Shops were closed, except for a butcher or two unloading the day’s supplies into their boucheries, and a few café owners, who were beginning to distribute colorful, wicker chairs and bistro tables onto the sidewalks. But even at the break of dawn, it’s easy to keep yourself plenty occupied in Paris. In fact, empty sidewalks make for ideal window shopping in a city where store displays are an art form in and of themselves! 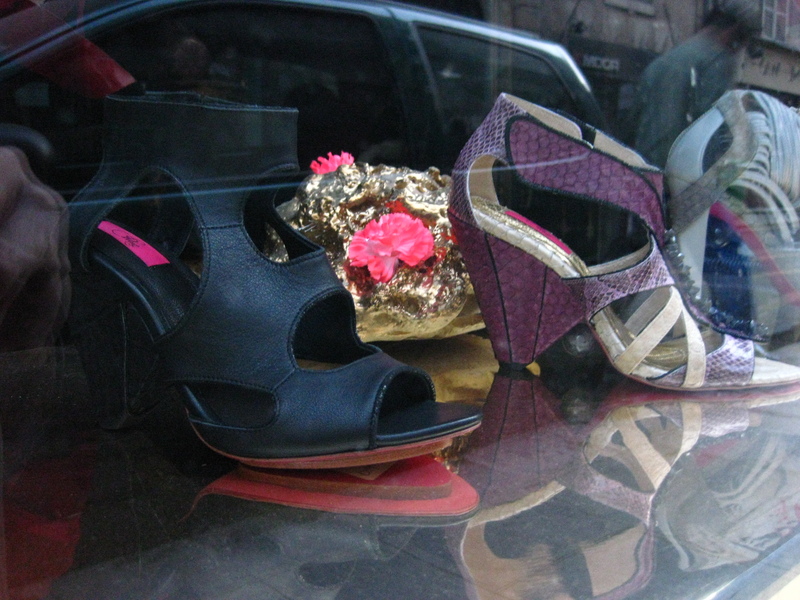 Here’s a glimpse at what I saw on my morning-stroll-turned-fashion-scouting. 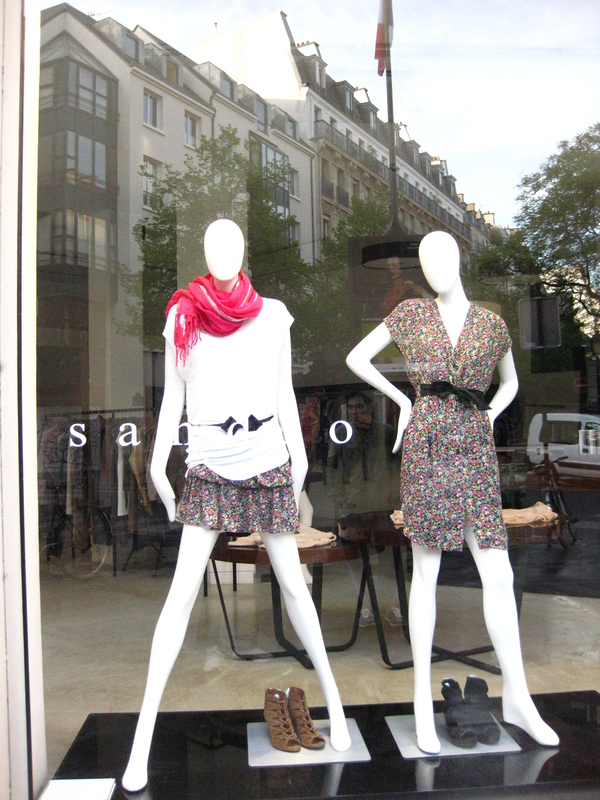 More of Sandro--Scarves are a must at any time of year in Paris! 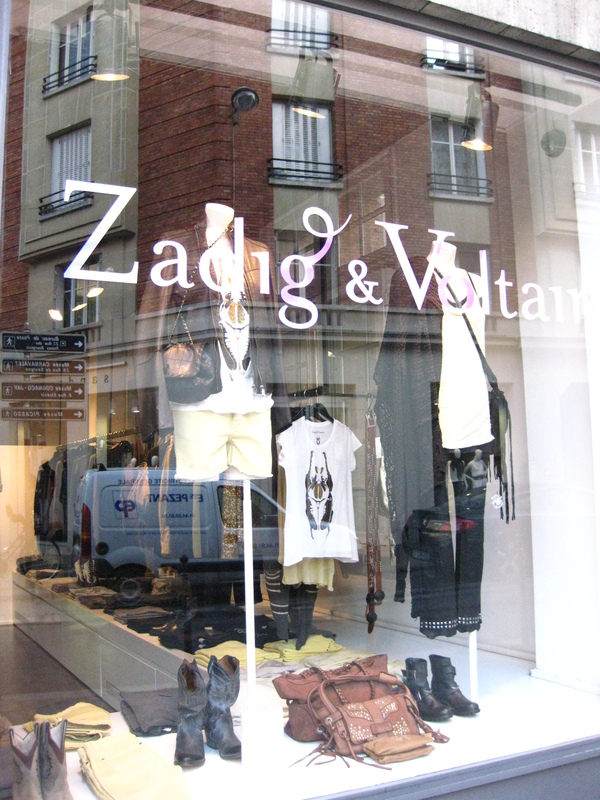 Zadig & Voltaire-- Another French brand with a look comparable to Rock & Republic. The new SF boutique "La Boutique" in Jackson Square has started selling a limited selection of its collections. 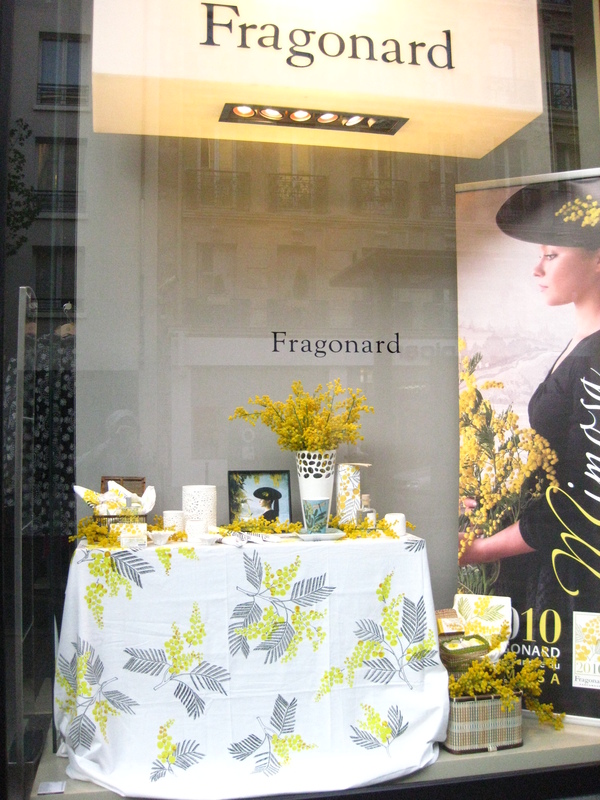 Fragonard-- This famed Parisian perfume maker sells alluring fragrances, candles, soaps and a small selection of clothing. The brand also runs the Musee du Parfum in the Opera district. Pring Paris-- The weather is still brisk here (only about 35 F in the mornings), but spring/summer collections have arrived in full force. 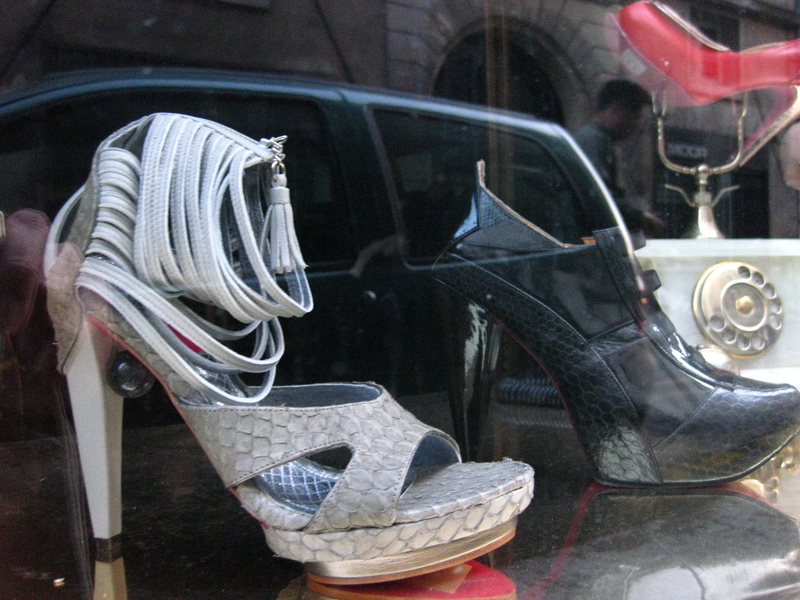 Heel heights are still varying at the extremes from four-inch platform sandals to open-toe ballet flats, but I'm already seeing the shift to more mid-height heels on the streets. 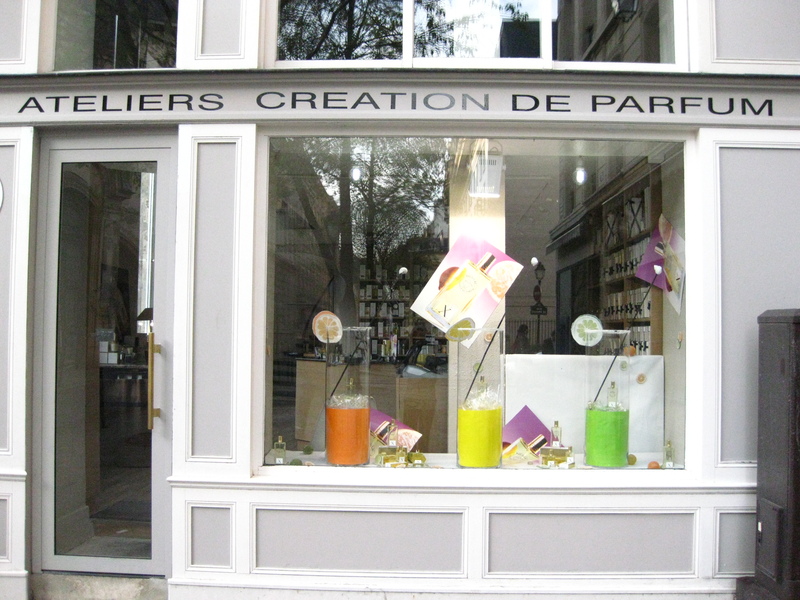 Another perfumerie in the Marais with a playful cocktail themed display. 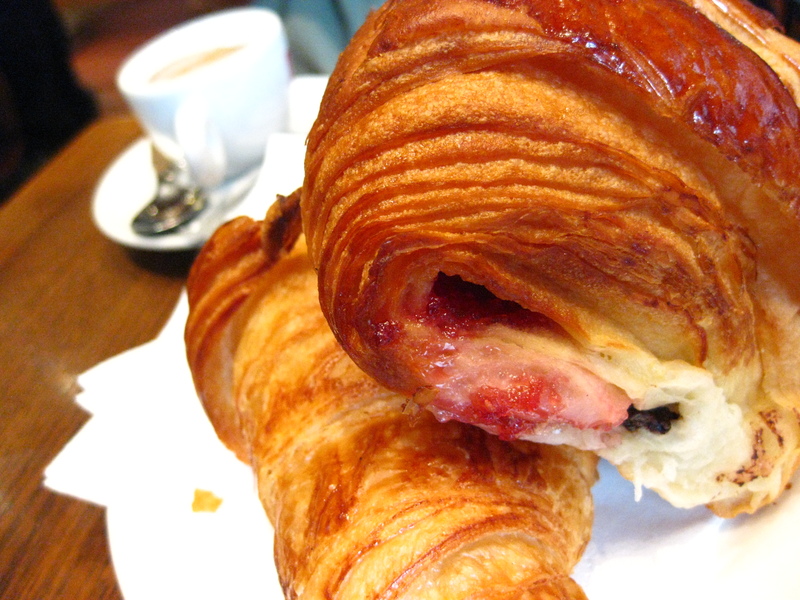 We eventually found coffee and croissants (framboise, or raspberry jam, and chocolat noir) at 7:30 a.m. Success! What a treat to read, photos lovely. Happy trip. Thanks for reading. I will check out your blog as well!